Wanna extract beautiful music from a video and put them into your music player? 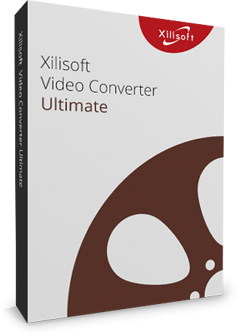 Xilisoft MP4 to MP3 Converter realizes it for you by affording the function to convert MP4 video format to MP3 format. With powerful MP4 to MP3 Converter, you can obtain high-quality MP3 music from any format of video and audio and enjoy it in your music player! 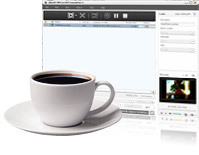 Convert video formats MP4, WMV, AVI, MOV, RM, H.264/AVC, etc to MP3. 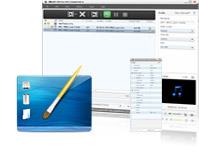 Convert audio formats like WAV, WMA, AAC, AC3, MPA and M4A to MP3. Convert all the music from CD to MP3 format. Support multi-core running to maximize the conversion speed. Convert AVCHD (*.mts, *.m2ts)， MP4, MPEG-1, MPEG-2, MPEG-4, WMV, AVI, 3GPP, 3G2, MOV, RM, RMVB, DV, H.264/AVC video files to MP3. Convert WAV, WMA, AAC, AC3, AIFF, AIF, CDA, FLAC, MPA and M4A to MP3. Convert all contents on CD into MP3 format. More than one output format can be converted just from one source to prevent repeated operations. You can split the video/audio source files according to split size or duration before converting . You can edit ID3 tag information for your MP3. Preview videos with the width to height ratio 4:3 or 16:9. You can also preview in a resizable independent view window and take snaps during preview. Create your special MP3 by setting parameters such as quality, bit rate, frame rate and etc. Several tasks can be preceded at the mean time. Prevent standby/hibernation when connecting to mains or using battery. Make conversion work in background to balance your CPU usage. Auto-exit the application, shut down, hibernate, stand by system, or do nothing which brings more ease on operation. English, German, Spanish, French, Japanese and Chinese interface languages are available.